I know I normally do Findings Friday today, but I wanted to share our Halloween costumes with all of you. The little one was baby bear this year. 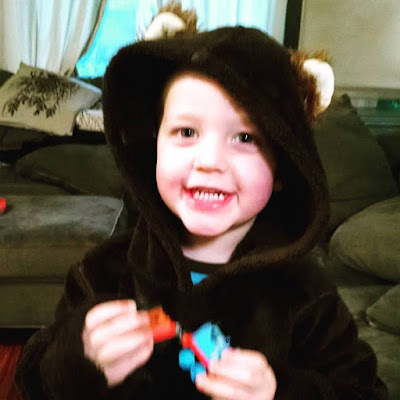 I found the fuzzy hoodie at the Goodwill for cheap and cut the ears off an old teddy bear that the boys didn't play with anymore. All together this costume cost me less than $5 and it kept the boy warm on the rainy Oregon evening. 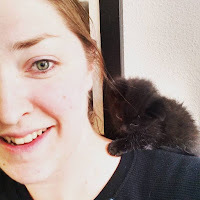 Middle man was Stampy cat. 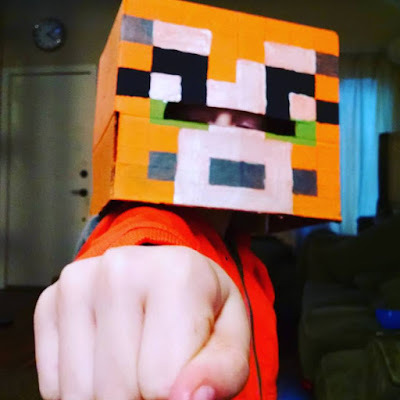 A character from his favorite game called Mine Craft. I guess its a guy that plays the game and posts videos on Youtube. I had to google this one because I had no idea what it was. It made me realize that I'm getting older and even though I'm only 31, I have no idea what kids these days are really into. Sad, I know. I bought an orange sweatshirt on sale for $10 and used a box and paint to make the head. I think with all the supplies I paid less that $15. Not bad when you have no idea what you are doing. This one was easy since the oldest boy wouldn't dress up. He cost me a total of $10 for the costume we purchased him and he didn't wear. 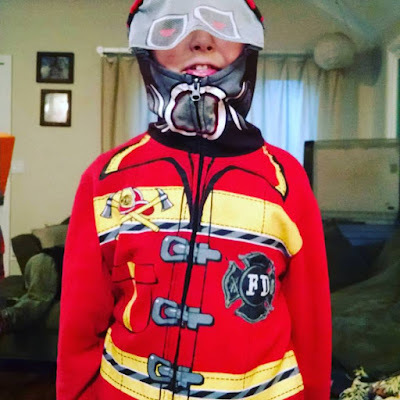 In the end he put on his sweatshirt that looked like a fireman jacket. 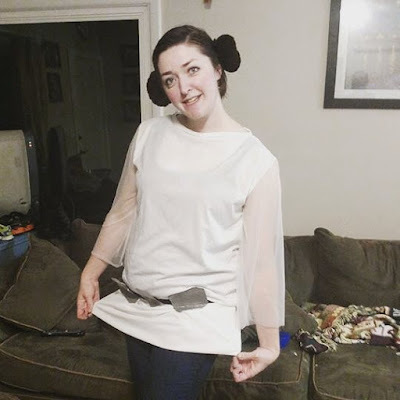 My Princess Leia costume was made from socks, yarn and a tunic I purchased at the goodwill. I think with all the supplies it was around $10-15 dollars. I had fun making it, but the belt got bent up because I wore it at work and I was sitting all day. Oh well, it rained anyway and I got soaked to the bones. 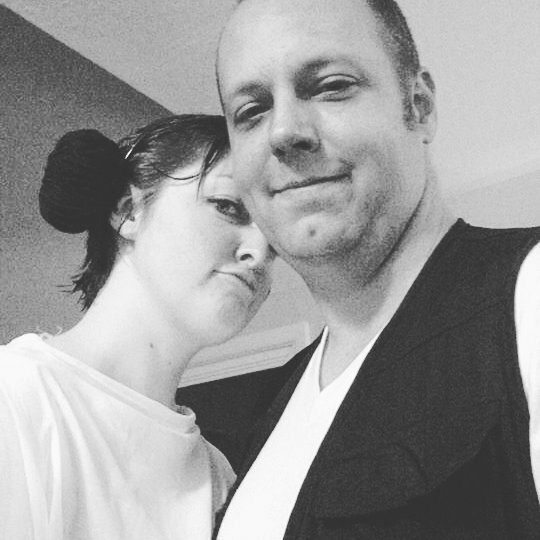 My handsome husband dressed as Han Solo. He looked great, but don't ask me how much he spent because I have no idea. It was a lot though. 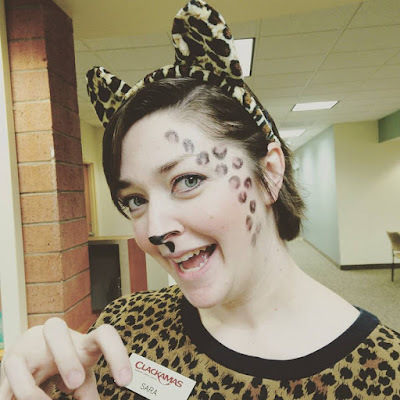 I got two costumes this year since we had to dress up at work on Friday. The ears were given to me from my manager and I purchased the sweatshirt at a thrift store for $6. Used the makeup I already owned for the spots and nose, so this is by far the cheapest costume I had. Sad to say though, I didn't win the costume contest. I was ironically beaten by Darth Vader. Should have worn my other costume.